Measuring nine critical success attributes, the World’s Most Admired Companies list survey is a highly respected source for information about corporate reputations. Toyota is widely admired for its dedication to exceeding customers’ expectations and continuous improvement. The full list of winning companies is in Fortune’s March issue published February 22, 2016. Toyota is the world’s top automaker and is fully committed to building vehicles that cater to the wants and needs of their customers. Operating 14 manufacturing plants in North America, 10 of which are located in the United States, Toyota has built over 30 million trucks and cars in the past 50 years. Over 30,000 United States citizens are Toyota employees. There are over 1500 North American dealerships. More than 80% of all Toyota vehicles sold throughout the past 20 years are still on the road today. 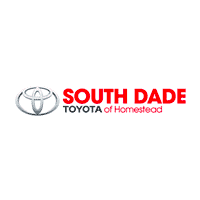 To test drive a South Dade Toyota of Homestead vehicle, please contact us today.